With their recessed stainless steel bolts and massive presence, Pocket Style® Fender Flares are a Bushwacker original and an off-road icon. 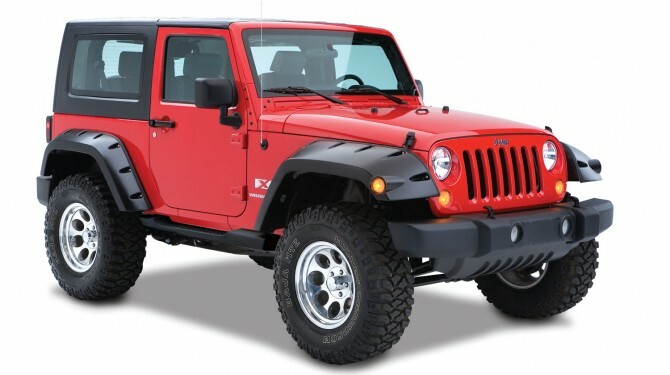 They're custom-designed for your Jeep Wrangler to complement oversized tires and high-clearance lift kits. 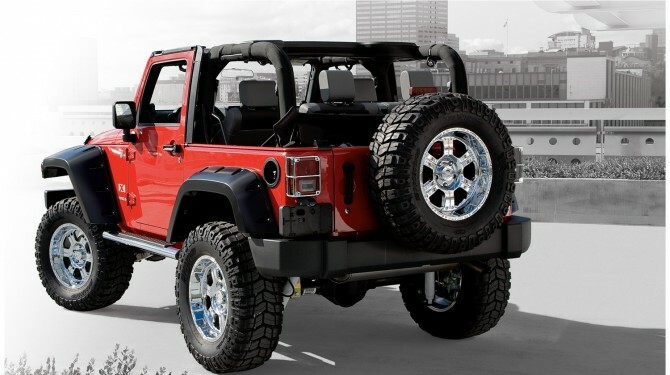 This rear set of flares provides up to 6.75" of additional tire coverage, protecting your Jeep from debris. With their recessed stainless steel bolts and massive presence, Pocket Style® Fender Flares are a Bushwacker original and an off-road icon. 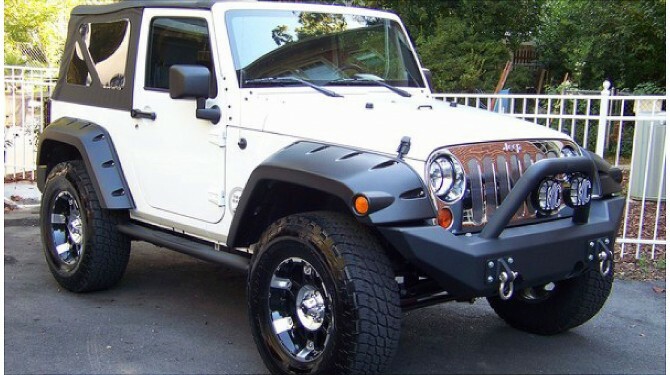 They're custom-designed for your Jeep Wrangler to complement oversized tires and high-clearance lift kits. You can mount them right out of the box, with their tough, OEM-style matte black finish - they're UV protected so they won't chalk. Or, paint them to match or accent the body color, for a factory-custom look. Bushwacker's Pocket Style® Fender Flares are made in the USA with our strong, proprietary Dura-Flex® 2000 material. Its the thickest, most flexible material available, tailor-made for added durability and flexibility on the trail. Despite their hard-core bolt-on styling, Pocket Style® Fender Flares install easily, with only minimum body-side drilling required. When you need maximum tire coverage with minimum time and effort, it's in the pocket. Pocket Style® Fender Flares from Bushwacker. 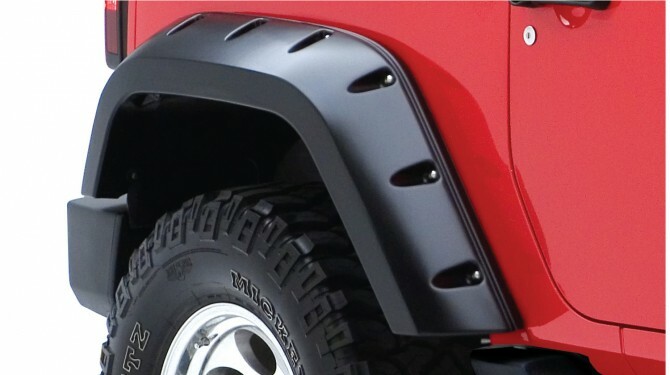 Interested in Jeep JK Pocket Style Rear Fender Flares? 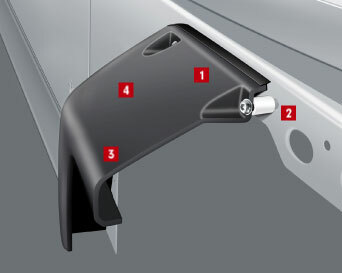 Talk to our Jeep Modification Experts - call 714-582-3330 today!